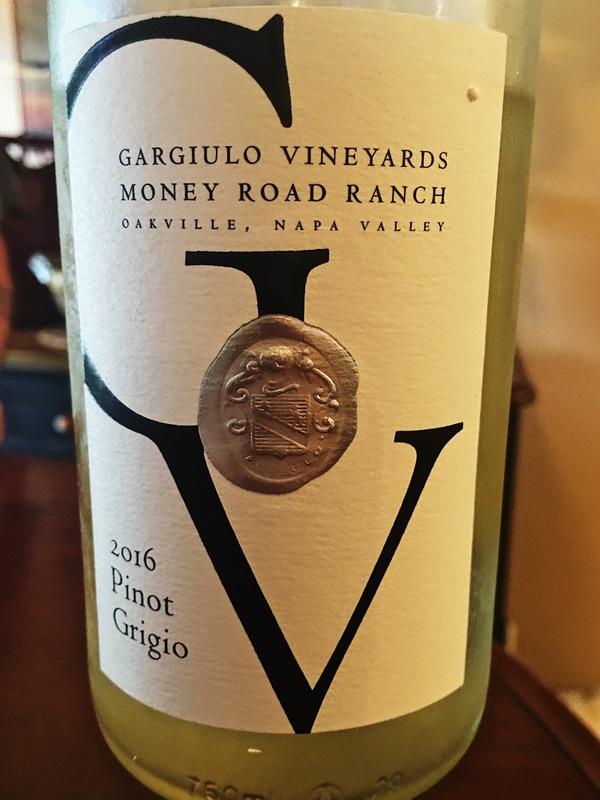 Gargiulo Vineyards Money Road Ranch 2016 Pinot Grigio is crisp and refreshing, with just the slightest hint of citrus. I am not a fan of intense citrus flavor when drinking Pinot Grigio and this one gives me just enough of a burst without being over powering. We did pull this one out of our wine fridge and chill it down a little further in the refrigerator. Just what the hot and steamy South Florida evening called for. We’ve have several varietals from Gargiulo and they are all outstanding. I am mostly a red wine drinker so when I stumble upon a white, of any variety, that is appealing to me, I am happy to claim some and load up the wine fridge. If you’re out in Napa Valley, a visit to Gargiulo will not disappoint. Not only will you taste some truly spectacular wines, they’ve got a rather impressive collection of vintage guitars to be admired as well. 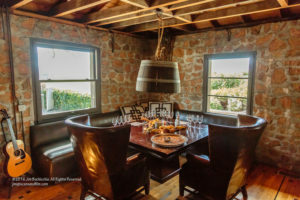 Gargulio Tasting Room, taken during our visit in 2015.